What is International Medical Transportation? International Medical Transportation is the transportation for a patient who are sick or injured in other country. 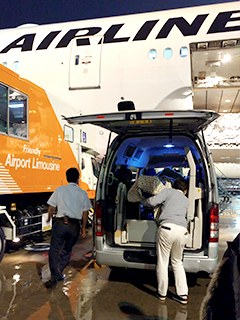 Depending on the condition, medical team escorts a patient from Japan to your country. It is always better that a patient stays and has medical treatment completely in a hospital where he/she sick or injured and hospitalized. However, some patients want to receive medical care at their own countries for different reasons. 3.Difficulty of communication or treatment because of different language and/or culture. If a patient needs a medical team or just ask a patient fits International Medical Transportation, please contact us by call (+81-3501-1330) or mail (mail@ihc-clinic.jp). We receive call for 24 hours a day, 7 days a week. When we provide International Medical Transportation, we will contact hospitals with a patient agreement and arrange the schedule. The English-speaking medical team supports a patient during the trip. Please contact us by call or mail. Our medical team responses your call for 24 hours a day, 7 days a week. Do not hesitate to call us even you just want to know a patient fit it or not. We request medical information to the hospital with a patient agreement. 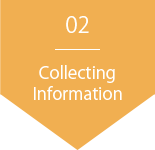 Secure personal information is top priority and important, so we manage and only use it when we contact a hospital, an ambulance, and airline company that we may use. We estimate the cost of medical transportation. When a patient or family member agrees with it, we ask to sign on the contract and the agreement. After that, we start to arrange International Medical Transportation. We contact hospitals and coordinate the schedule for medical transportation. We also start preparation for medical equipment. We update the medical information regularly for sure. Our medical staffs visit a patient’s room either a day before or a day of medical transportation to see a patient and medical staff. We believe we provide safe and comfortable medical transportation.